The leading Democrat on the House Judiciary Committee said that if Brett Kavanaugh is confirmed as a Supreme Court justice, "the House will have to investigate" allegations of sexual assault and perjury if the Senate doesn't "properly" do so through this week's limited FBI probe. Rep. Jerrold Nadler, D-N.Y., told ABC News Chief Anchor George Stephanopoulos on "This Week" Sunday, "We can't have a justice on the Supreme Court ... who has been credibly accused of sexual assaults, who has been credibly accused of various other things ... including perjury." Nadler was responding to a question from Stephanopoulos, who asked, "If it turns out that he becomes Justice Kavanaugh, and you're chairman of the House Judiciary Committee, would you investigate him for possible impeachment?" "If he is on the Supreme Court, and the Senate hasn't investigated, then the House will have to," Nadler said. "We would have to investigate any credible allegations of perjury and other things that haven't been properly looked into before." Republicans control the House of Representatives, but Democrats hope to gain a majority in the midterm elections in November. Nadler, who as a House member is not directly involved in the Supreme Court confirmation process, has been a vocal opponent of Kavanaugh's being elevated to the high court. 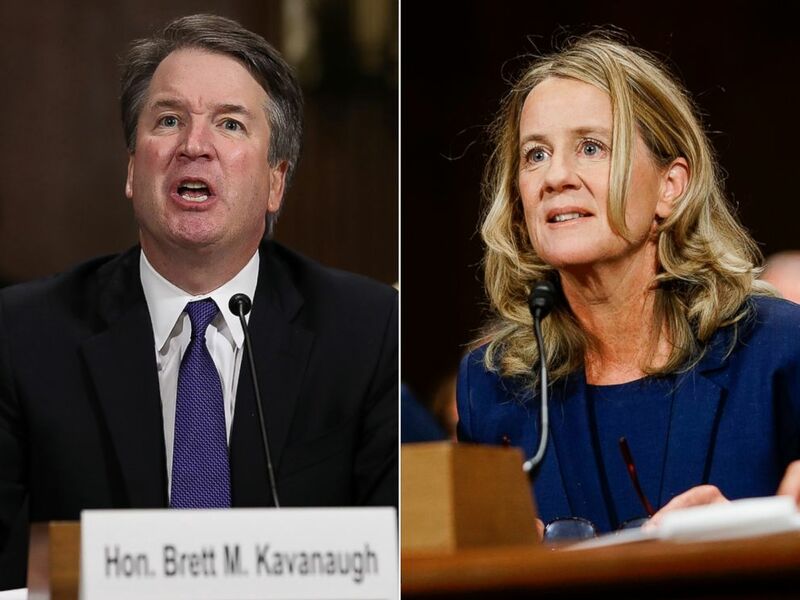 Nadler first called for an FBI inquiry into allegations against Kavanaugh on Sept. 19, three days after Christine Blasey Ford publicly accused the nominee in a Washington Post story of sexually assaulting her at a party when they were in high school. 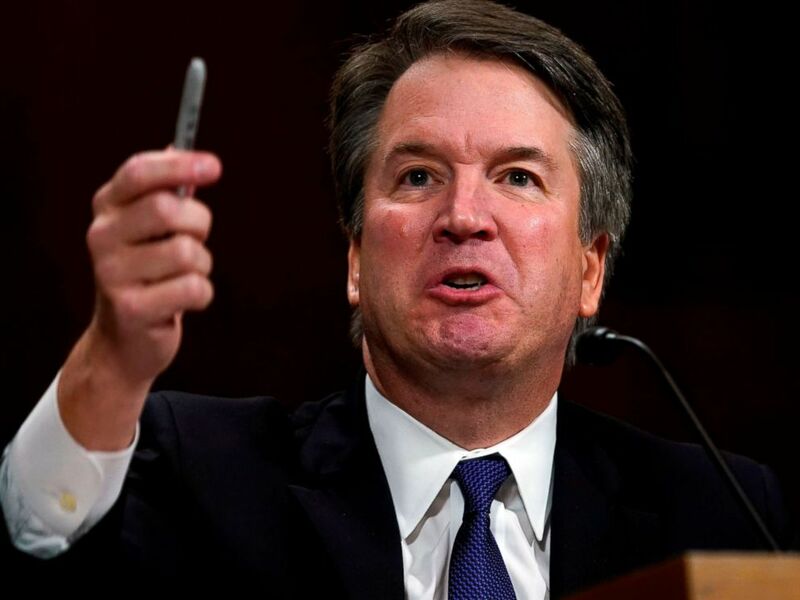 Kavanaugh has strongly and categorically denied any allegations of sexual assault or sexual misconduct. Nadler on Sunday questioned if Kavanaugh has the ability to be nonpartisan as a Supreme Court justice, considering his claim at the Senate Judiciary Committee hearing last week that sexual misconduct allegations against him are part of a smear campaign by Democrats. "I was astonished at his -- at his rant," Nadler said. "He's a judge; he's a sitting circuit court judge. He's supposed to be nonpartisan." The New York congressman said it would be “the proper thing” for Kavanaugh to recuse himself from cases involving congressional Democrats if he is confirmed to the Supreme Court. 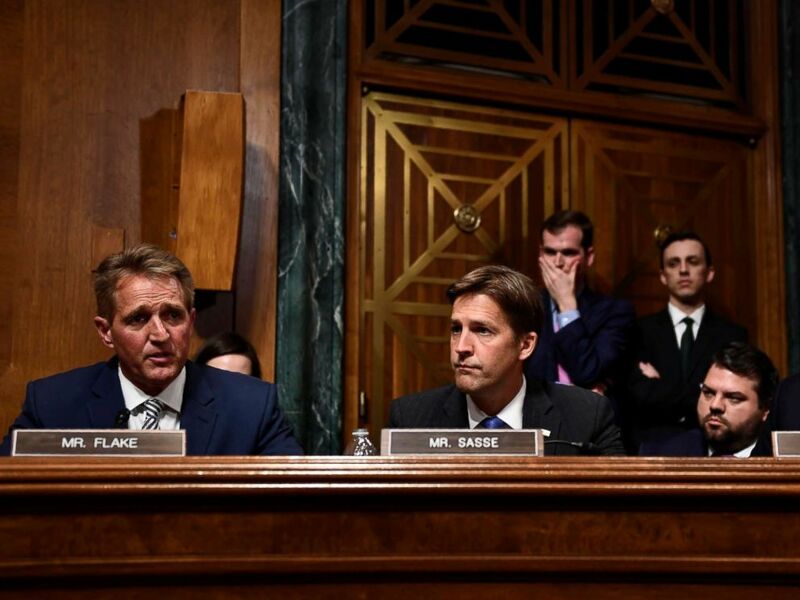 Pictured (L-R) Judge Brett Kavanaugh testifies and Christine Blasey Ford answers questions at a Senate Judiciary Committee hearing on Capitol Hill in Washington, Sept. 27, 2018. Nadler was also asked about rumors surrounding Deputy Attorney General Rod Rosenstein, who last Monday was said to be on the verge of either getting fired or resigning. 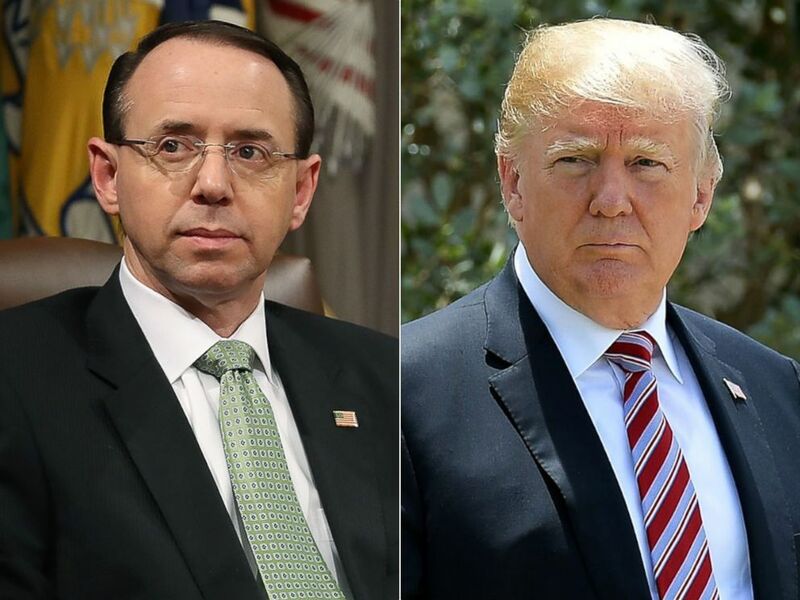 The situation seems to have since diffused at least temporarily, as a meeting between President Donald Trump and Rosenstein was postponed until this week. On Friday, House Judiciary Committee Chairman Robert Goodlatte, R-Va., requested that Rosenstein speak to the Republican-controlled panel in a private meeting. Sources told ABC News that Rosenstein has agreed to the meeting. Nadler said that if the president removes Rosenstein, it would jeopardize the special counsel investigation of Russian interference in the 2016 election and any possible collusion by Trump associates. Rosenstein oversees special counsel Robert Mueller. "Rosenstein must stay there to defend the integrity of the investigation until it is finished, and that's very important for … the integrity of American democracy," Nadler said, adding that he believes Trump has already tried to interfere with the special counsel probe. Deputy U.S. Attorney General, Rod Rosenstein participates in a summit, at the Justice Department, Feb. 2, 2018, in Washington | President Donald Trump visits Joint Interagency Task Force South at Naval Air Station Key West, Fla., April 19, 2018. Stephanopoulos asked if such alleged interference by the president would be evidence of a "high crime or misdemeanor," referring to the constitutional standard for impeachment. Some Democratic activists have called for Trump's impeachment if Democrats win control of the House in November. Nadler said, "A crime is not necessarily an impeachable offense, and an impeachable offense doesn't have to be a crime. They're different tests." He said that while many of his constituents in New York want to see "the president impeached yesterday," such a serious move should not be done on a "partisan basis." "The fact is that's a very serious step, and you can't do that -- you shouldn't do it on a partisan basis … unless the evidence is overwhelming that the president is in fact threatening the democratic order and threatening liberty," he said. "We're not there yet," Nadler said. Aside from the question of impeachment, Nadler said that if Democrats win the House and he becomes chairman of its Judiciary Committee, "there are plenty of things for which we have to hold the administration accountable." "We'll hold hearings on the culture of corruption...on the separation of families at the border...on the reversal of the administration and their refusal in court to defend the Affordable Care Act...on voting rights," Nadler said.